Complement your business valuation with solid financial thinking. 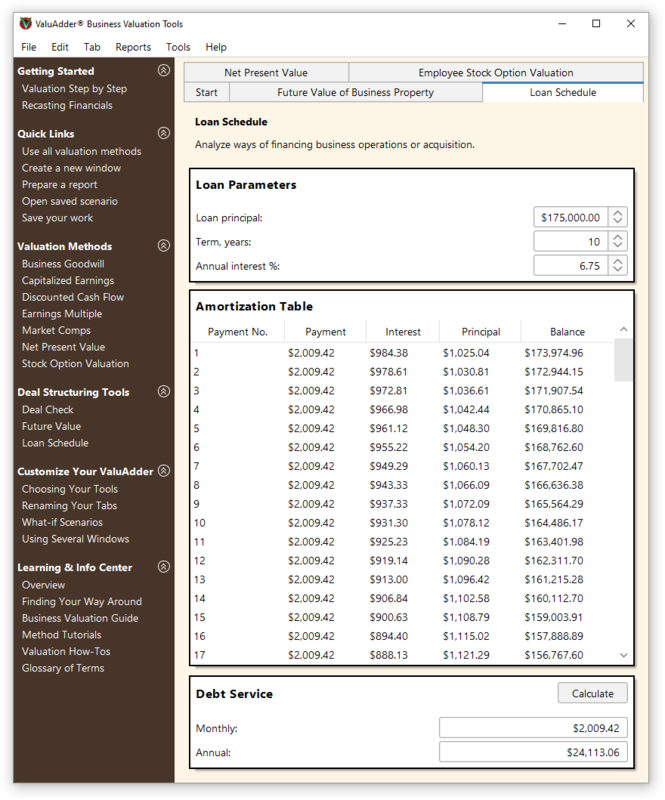 Calculate the Future Value of appreciating assets such as business owned real estate. Use the Net Present Value calculation to make fact‑based business investment decisions. Assess the income benefits of seller financing, tax advantages, and cash‑out timing for your seller’s notes. Vary the principal, interest, and term inputs to fine‑tune your small business purchase financing proposal.